who s up for 11 second club this time? Demo Reel DO's and Donts!!! here's a blocking of my weight lift!!! This is insane. Wat all humans can create. damn. Awesome ads for euro cup. Just brilliant. Take a look folks. lemme no wt u think!! Found this video. This female can do wierd things on her face. Just watch. I am currently working on this gear change animation and i am in need of your comments on this blocking file. I haven't worked on the facial expressions for him. Me and my mentor wanted him to have a Indian look, so quit excited to work on my 1st gear change animation. Well, thanks to some of you who gave me comments earlier on this. Being a pretty self obsessed psyco, i have decided to go with this idea ;-). Kindly comment back on this. Who's up for 11 second club this time? They got a nice piece of dialogue . I am planning to participate . Ne one game for it.? Not sure if you guys have noticed this, the logo of AM by itself looks like the name. Look at the logo with the brand name in your mind. A very brilliant design and posing. hellllloooooo monsters..hope everybody is good..Guys i must say hogan is really an amazing rig...and here my jump animation..its been a long weekend for me cleaning up the graph..hehe..and still i have work to do....plz C&C' to improve it...i hope u all enjoy watching ^_^ really it was fun doing this animation. Animation Mentor is hosting a free Webinar on how to create a killer demo reel with Carlos Baena, one of our co-founders, and a Pixar Animator. Carlos will explain what it takes to make your demo reel stand out from the crowd and what specifically recruiters and studio animators are looking for. You'll see examples of what works and what doesn't work and get insider tips on how to make your demo reel rock! You'll also be able to ask questions during the interactive section of this presentation. Don't miss this great opportunity to learn about the industry and how to get your foot in the door. Hurry, the live Webinar takes place July 9th. PAST WEBINAR if u missed it.. 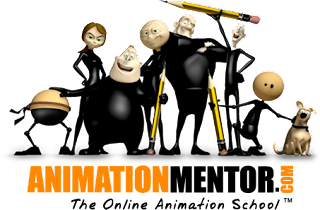 Learn how Bobby Beck, CEO of Animation Mentor and former Pixar animator got started in the business, and how he, Carlos Baena and Shawn Kelley founded Animation Mentor. You’ll see some behind the scenes shots of how the school works, and hear from Aja Bogdanoff, a recent graduate, about her experiences with the school and on the job. 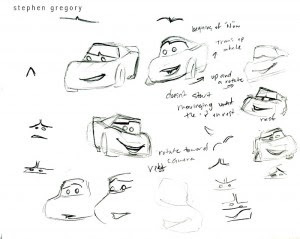 Learn insider tips and tricks from Animation Mentor co-founder, and Industrial Light & Magic animator, Shawn Kelly. He’ll give you the inside scoop on how to get the most out of video reference and answer questions from the audience about working in animation. I have just done with my Pantomime assignment, could you help me out on improving it. Any kind of C&C's are welcome. 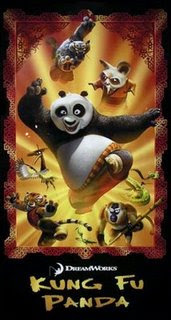 DreamWorks's movie Kung Fu Panda will be released in India on July 11, 2008 by Paramount Films.I heard a lot abt this movie in various forum and animator blog..this is one of best movie after incredible in term of animation storyline and everything...huh.I cant Miss this Movie..Desperately waiting for this movie from long long time..